The next tune in our continuing series on Tunes of the First World War is “H.R.H. 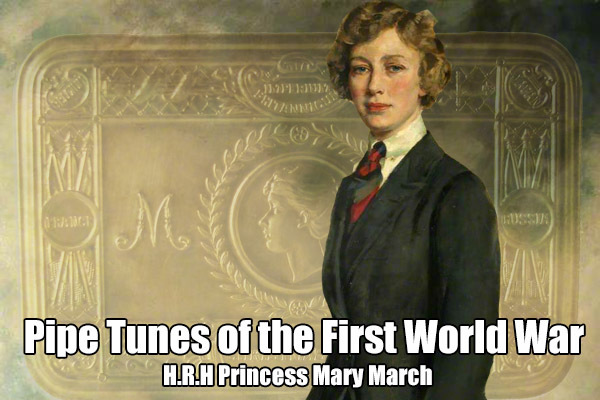 Princess Mary March.” This is another tune memorializing a happy moment in the course of the war. This tune, written by the Pipe Major of the Royal Scot (the Royal Regiment) celebrates the appointment of Princess Mary as the Colonel-in-Chief of the Regiment.